A very comfortable layout of the Two Bedroom Sea View Apartment is complemented by a private balcony with breathtaking Palm Island view. 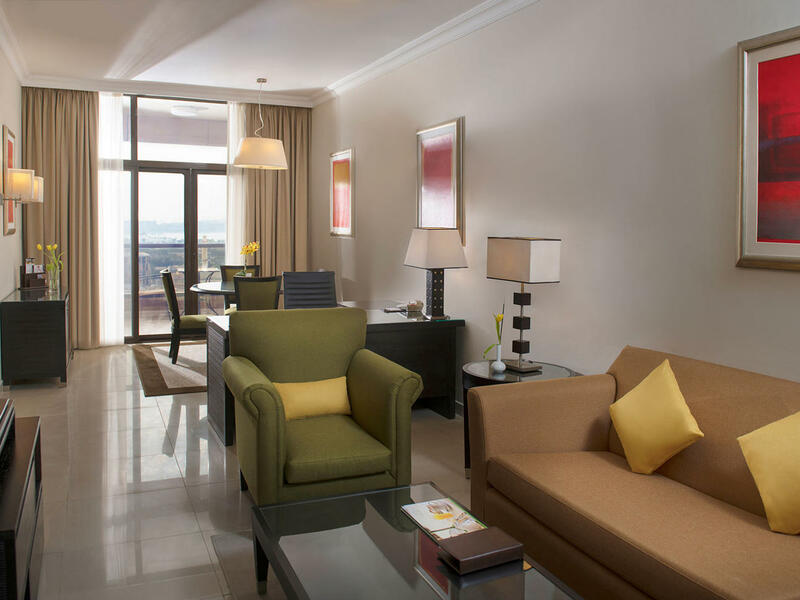 The interiors feature comfortable furniture and elegantly designed fixtures and appliances. The guests of our Two Bedroom Sea View Apartment will enjoy a spacious living room, 2 bedrooms, kitchen with a balcony, two full bathrooms and laundry room with washing machine, ironing board and iron. There is complimentary Wi-Fi provided during the stay. A comfortable working and relaxation ambiance of living room is created with 4-seater sofa that can be converted to a sofa bed, an arm-chair and coffee table, 1 sofa side table with 1 table lamp, large office desk with a rolling desk chair and table lamp, dining table with 4 chairs, console table with 2 wall lamps, TV table with drawers and 37-inch flat screen TV. The second bedroom has 2 twin beds, a dressing table with chair, 26-inch flat screen TV, wall and full-length mirror, chest of drawers, built-in wardrobes, 2 bed lamps and standing lamp. 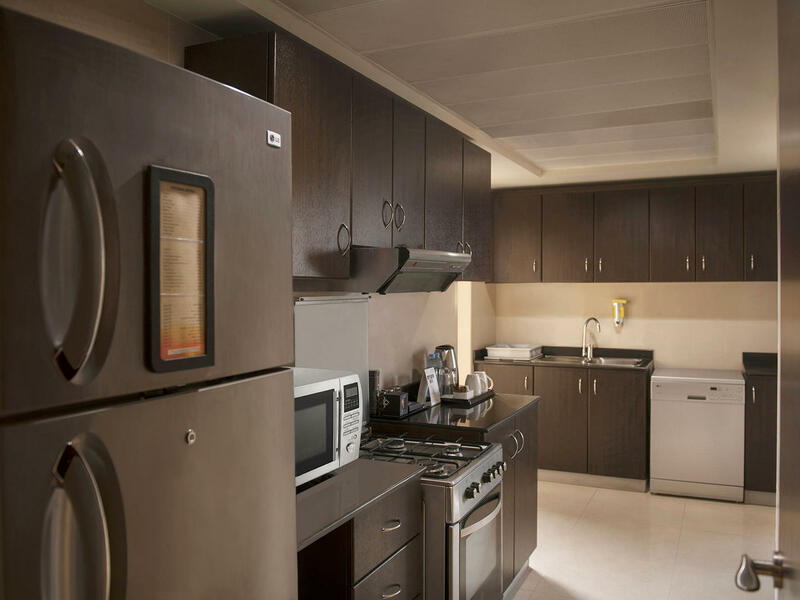 The kitchen in our Two Bedroom Sea View Apartment are dedicated to the long hotel stay guests and is well equipped with built-in cabinets, full-size fridge, dish-washing machine, microwave, kettle and a cooking range with utensils.